One Eternal Day: "There is nothing in the world so good as good neighbours." "There is nothing in the world so good as good neighbours." 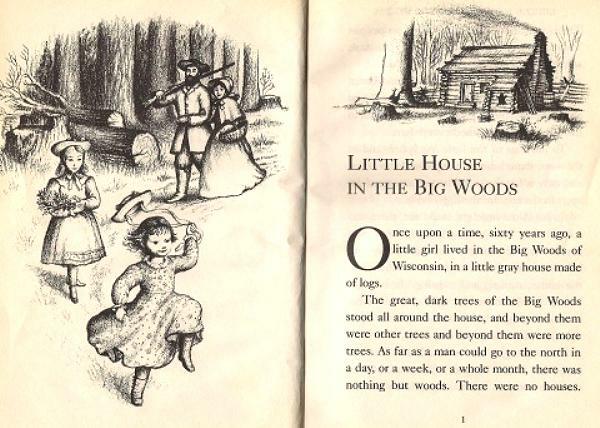 The Library of America has just published The Little House Books , all of Laura Ingalls Wilder’s Little House books in two volumes. I don't believe I ever read most of them but I do recall reading Little House in the Big Woods—the one about the family's time in Wisconsin—in grade school. I probably should read them. Everyone seems to think they are good and the Ingalls' family experiences seem very like those my Skaggs and Whitney ancestors had during the same times. The fictionalized account of a girl's transformation into a young woman is also the story of America's growth and maturation. Wilder's stories for children document the Westward Expansion and explore surprisingly grown-up themes—the nature of self-government, the responsibilities that go along with freedom and what it means to be an American. If Wilder's pioneer families are resourceful, government is depicted as meddling and incompetent—a contrast that emphasizes the importance of providing for oneself. Indeed, Washington's bungling is blamed for the Ingallses' forced departure from Indian Territory in "Little House on the Prairie," and in "The Long Winter" a family friend denounces politicians who "tax the lining out'n a man's pockets" and "take pleasure a-prying into a man's affairs." Fear of debt hangs over these stories like a dark cloud; to be "beholden" to anyone is a mark of shame. The only respectable path to subsistence—let alone comfort—is hard work. "Neither [my parents] nor their neighbors begged for help," Wilder explained in a 1937 speech. "No other person, nor the government, owed them a living."